and pies are just some of the tasty treats available alongside a myriad of wonderfully tasty glaced donuts. 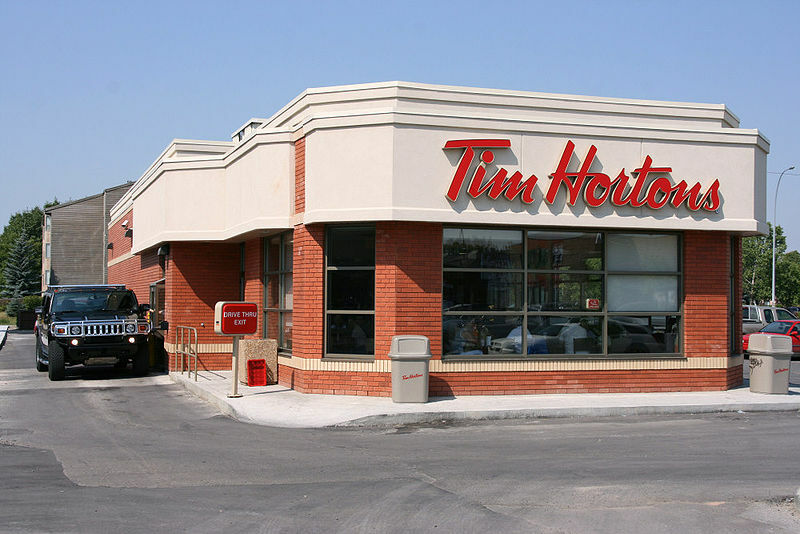 Whilst Tim Hortons has always been renowned for great donuts, it’s signature product is it’s consistently good quality coffee. Tim’s coffee is available by the can in the restaurants and for my money is better than many more renowned brands. Canadians have a special affection in their hearts for Tim Hortons, quite rightly. It’s a coffee and donut chain ultimately but Canada’ very own nevertheless. I like to pop in there occasionally but tend to take it easy on the donuts! I’ve observed it to be a popular destination for RCMP officers too – some who don’t necessarily follow that trend! Who could blame the Mounties though? How will they always ‘get their man’ without the sustenance of a chocolate donut or two. An education as well as great read. Hope you’re having a fantastic vacation mate. Yes it’s all good out here mate. Keep it quiet – the first pint I had in Kelowna was a pint of Stella served in a vase! Taking any orders for hockey stuff if you have any needs mate? I see there is an issue of The Hockey News on the stands already.